What about the deficiency owed when I short sale my home? 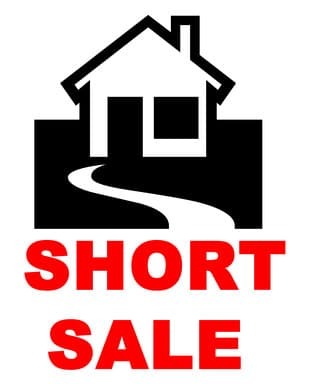 This is a question every seller asks when they consider a short sale of their home. And it is a very legitimate question. While some lenders may forgive a deficiency balance, not all do. It is often an unsound economic decision for a lender to sue you for the deficiency balance. For one, you may not have any resources to pay them. You likely would not have defaulted on your mortgage if you could have afforded to pay it. Some states protect their citizens with anti-deficiency laws. Rules vary from state to state. Unfortunately, Florida does not have such a law mandating the lenders to forgive a deficiency. Attorney Michael Blickensderfer will advocate for the seller in an attempt to convince their lender to waive the difference between the amount owed and the amount for which their property sold. If you are considering a short sale of your primary residence, you want to consider contacting a Tampa real estate attorney. Michael is experienced in dealing with mortgage companies. While they are all governed by the same guidelines, they each have their own idiosyncrasies which Blick Law Firm deals with routinely on a daily basis. Every seller in a short sale will receive a 1099-C, which is a notice to the IRS that the financial institution has forgiven or canceled a debt of $600 or more. Although this must be reported on your tax return as income, the Mortgage Forgiveness Debt Relief Act of 2007 allows taxpayers to exclude income from the discharge of debt on their principal residence. This act is in place through December 31, 2012. The forgiveness is restricted to mortgage debt that you incurred to purchase your home. If you took out cash from the equity in your home in a refinance, as many Americans did during the real estate boom period, you are not covered by the Mortgage Forgiveness Act. Even if you cannot use the protections of the federal act, you may still be able to avoid declaring the dollars listed on the 1099-C. Call Blick Law Firm today to see if you meet the IRS rules regarding your assets and liabilities and can use the IRS Form 982 to avoid declaring the 1099-C as income. If the financial institution issues a 1099-C to you, it will probably not pursue you for the deficiency balance because it has deducted the loss on the loan from its taxes. However, there is no guarantee the financial institution will not pursue you for the deficiency balance and then later amend its tax returns. If you end up with a deficiency balance, consider negotiating with your lender in an attempt to reach an out-of-court settlement on the debt. If necessary, enroll the debt in a debt negotiation program. Another option is to negotiate the debt yourself. Consider offering the creditor 10 cents on the dollar for a lump-sum settlement. Blick Law Firm can assist you, should this negotiation be necessary. Call today 813-931-0840. This entry was posted in Blog, Real Estate and tagged attorney, blick law firm, blicklaw, carrollwood real estate, how to short sell, how to short sell a home, law firm, selling your home, short home sale, short sale home, short sale homes, short sale real estate, short sale vs foreclosure, short sell, short sell home, short selling a home, short selling a house, tampa abogados, tampa real estate attorney, what is a short sale, what is a short sale on a home. Bookmark the permalink.